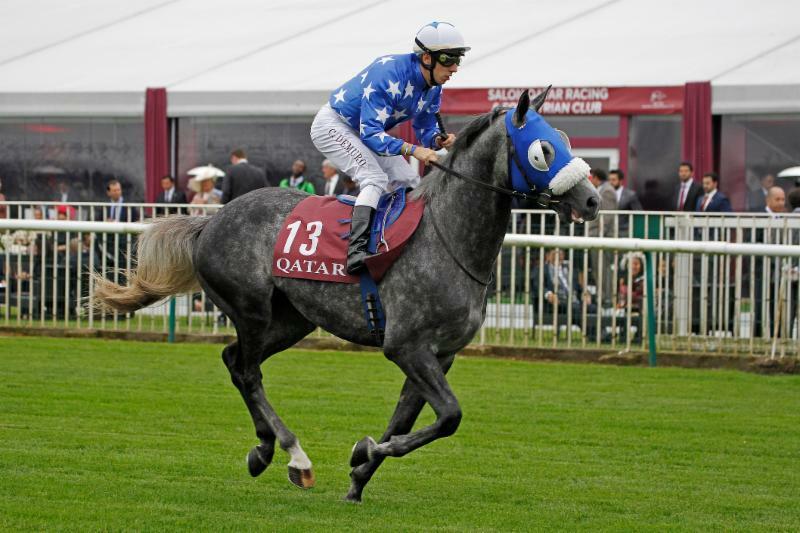 Published by IFAHR in January, the 2017 Purebred Arabian International Classifications were headed by Ebraz on 127, for his win in the HH Emir’s Sword (Gr1PA) at Al Rayyan and in the Qatar Cup (Prix Dragon) (Gr1PA) at Chantilly last season. Just behind him on 125 were stablemates Gazwan (winner of the Qatar Arabian World Cup Gr1PA, Chantilly) and Reda (winner of the Dubai Kahayla Classic Gr1PA, Meydan). All three horses are owned by HH Sheikh Mohammed bin Khalifa Al Thani, bred by his Al Shahania Stud and trained by Julian Smart. Smart commented:"I'm very proud of the boys and all the team of course - it's a fantastic achievement." Top rated fillies on 117 were HH Sheikha Fatima bin Mansoor’s Loraa (in the HH The Presidents Cup Gr1PA) and HH Sheikh Mansoor bin Zayed Al Nahyan’s Mabrooka (in the Jewel Crown Gr1PA). The top rated juvenile was Rajeh for his win in the Qatar Total Arabian Trophy des Poulains (Gr1PA), whilst Easter De Faust was awarded 112 for her win in the fillies’ equivalent. Of the UK trained juveniles, the Royal Cavalry of Oman’s Riyam received a rating of 107 for his win in the Emirates Equestrian Federation International Stakes (Gr2PA). In all 69 horses of four years old and over recorded a rating of 110 or more, whilst 14 three-year-olds were rated 105 or more. The full list of ratings can be viewed on the IFAHR website. 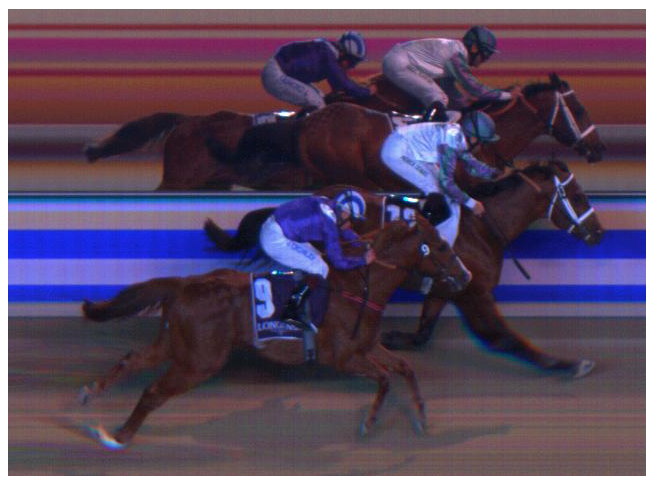 Paddys Day made a successful return to dirt at Meydan in January when holding off the late challenge of Barnamaj, to win Round 1 of the Al Maktoum Challenge (Gr1PA) by a neck. The pair finished well clear of Cakouet De Bozouls in third with Darius Du Paon and Cheik Roque behind. A Darley champion and multiple Grade 1 winner in America, Paddys Day was having his first start for UAE Champion Trainer and US expat Doug Watson, having shipped over for the Jewel Crown in November, in which he failed to handle both the Turf and the right-handed track at Abu Dhabi. The course conditions at Meydan were expected to suit, but Watson, who had already trained three previous winners of this event, was concerned about the wide draw in stall 13. Ridden by Pat Dobbs, Paddys Day was always up with the pace and they were handed the lead when early pace-setter RB Torch weakened with 500m to go. Paddys Day readily pulled clear, quickly putting daylight between him and his nearest pursuer, Barnamaj and Jim Crowley. However the son of Burning Sand idled somewhat in front allowing Barnamaj to close significantly by the time they reached the line, however he had just enough in hand to deny them the spoils. The 1600m race was run in 1.46.37, almost a second slower than AF Mathmoon’s win in the same contest last year. James is the current ARO champion trainer, based in Newmarket, Suffolk. Though James rode under ARO rules as a jockey, it was in Point-to-Points where he flourished, being nine-times East Anglian Champion. Since retiring from the saddle he has had continued success as a trainer, gaining the ARO Best Newcomer Award in his first season in 2015 and the ARO Trainers Championship in each season since. Follow the yard throughout the year in his monthly column for The Arabian Racehorse. "We have an exciting season ahead with a lot of new additions to the yard that look to be very nice sorts. 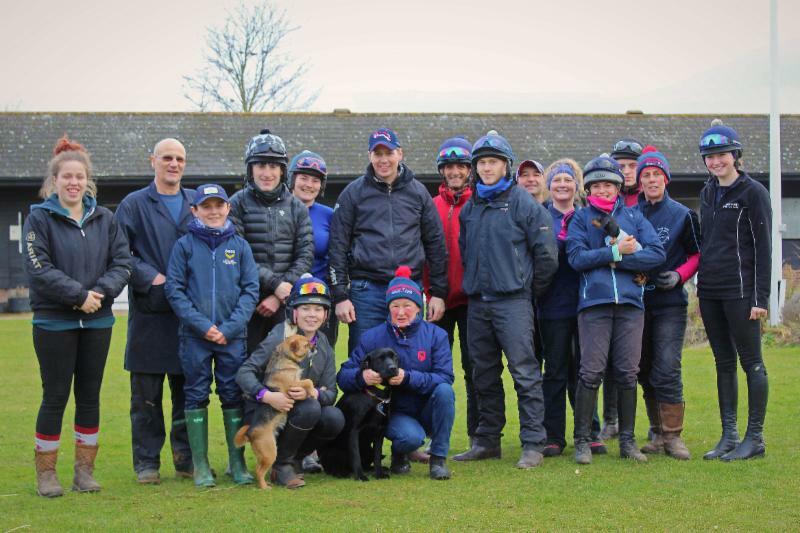 All of the horses are now back in work and they have done very well for their holiday. "Part of our success so far is down to our fantastic team at home. We are extremely lucky to have such great members of staff who all thoroughly enjoy working with the Arabians, including Mitchell Hunt [above with James at Chelmsford City] who has been with us for two years. He is an exceptional assistant trainer who keeps everything running smoothly when I am away and is also one of our best riders! Mike Palmer has joined the team this year and he is a huge asset to the yard. He is an extremely dedicated and hard working rider and has fitted in very well. "One of the most exciting things we have to look forward to this year is our new James Owen Racing Club. This has already been very popular and we are looking forward to it kicking off with the first social event of the club taking place at the end of next month. The aim of this club is to get more people involved in Arabian racing who are unfamiliar with the sport. A lot of our members so far have no previous experience with Arabian racing but are very much looking forward to getting involved. There are still a few shares available so get in touch to secure your place! "Finally, we have a selection of Arabians in the yard that are for sale, both raced and unraced. Please take a look at our website and get in touch if you would like more information." Al Saoudi (Nuits St Georges) has relocated to stand in the UK, at Shadwell Stud, near Newmarket for 2018, after ten seasons in France. Alwaleed, Awzaan, Emiraaty, Eqleem and Madany were all successful for their sire in the UK last season. 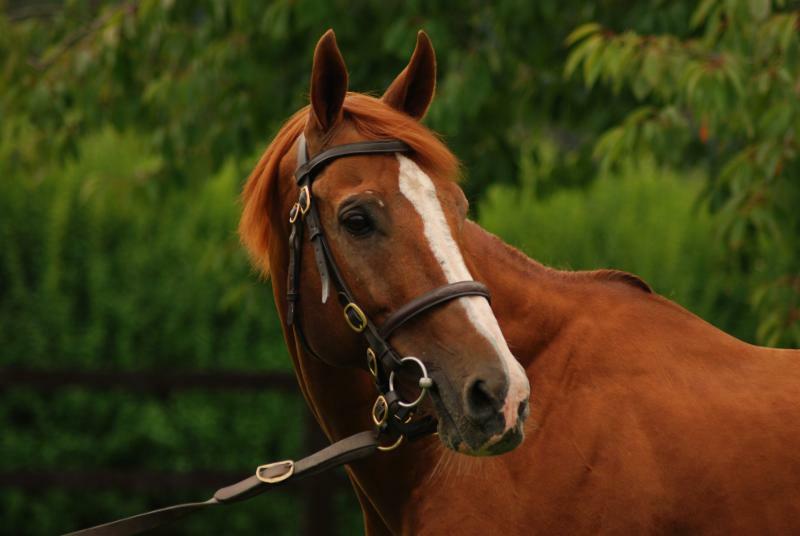 Richard Lancaster, Shadwell’s Stud Director, commented: “We are very happy to welcome Al Saoudi at Shadwell Stud. We are very grateful to the whole team at Haras de Saint Faust who looked after him for the past ten years, as well as the team at Haras de l’Abbaye where he stood for one season. French-bred, Al Saoudi is a four-time Group 1 winner, in France and the UAE on turf and dirt for HH Sheikh Hamdan bin Rashid Al Maktoum. He is out of Fatzica (Fatzour), granddam of multiple Group 1 winners Al Mourtajez and Al Mouhannad, and multiple Group winner Al Moutawakila. Al Saoudi will stand at Beech House Stud (Newmarket, UK), with his 2018 nomination fee set at £500, for natural cover only (1st January Special Live Foal). The complete roster, including first season sires Handassa, Taajer and new to Shadwell, AF Al Buraq, is available on the Shadwell Arabian Stallions website and Facebook page with the nomination fees and conditions. Breeders are invited to contact Shadwell Arabians to receive their 2018 stallions brochure. Sixteen runners gathered from Saudi Arabia, and by invitation from around the world, to contest the Prince Sultan Bin Abdul Aziz International Arabian Horse Race Cup run over 1800m for a prize fund of $1 million dollars, as part of the annual Prince Sultan Bin Abdul Aziz International Arabian Horse Festival. In the event, previous winner Tallab Al Khalediah was too strong for the overseas challengers, with Zuqar (Oman) second and the UK trained Muntaser Al Khalediah third. Phil Collington, trainer of Muntaser Al Khalediah and also Mith'haf Athbah (seen left at Chelmsford in August) commented: "Muntaser did us proud. We had a few training set backs with him him and to run that well without a run since July was outstanding. 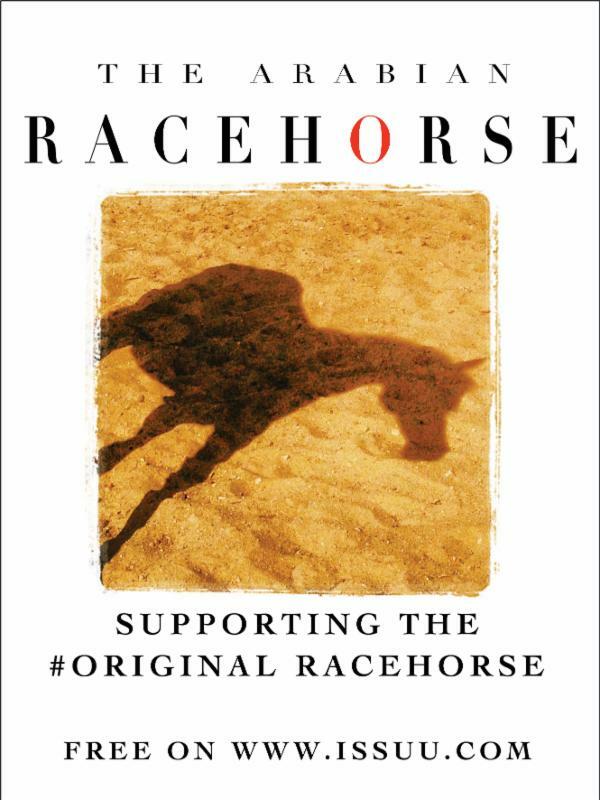 "Olivier Peslier, who rode Mith'haf, said that he just didn't handle the surface. It was a sand, wood chip mix, which was deep and very different to what we had been training on when we arrived in Saudi Arabia, or what we have in the UK. Certainly to be in with a chance you had to travel well on it and be on the pace." Continuing he said: "Mith'haf will now have a break and will return around the end of June, beginning of July. We would like to go to Goodwood, rather than DIAR, as it's a mile and he has plenty of speed, even though he's won over a mile and a quarter. 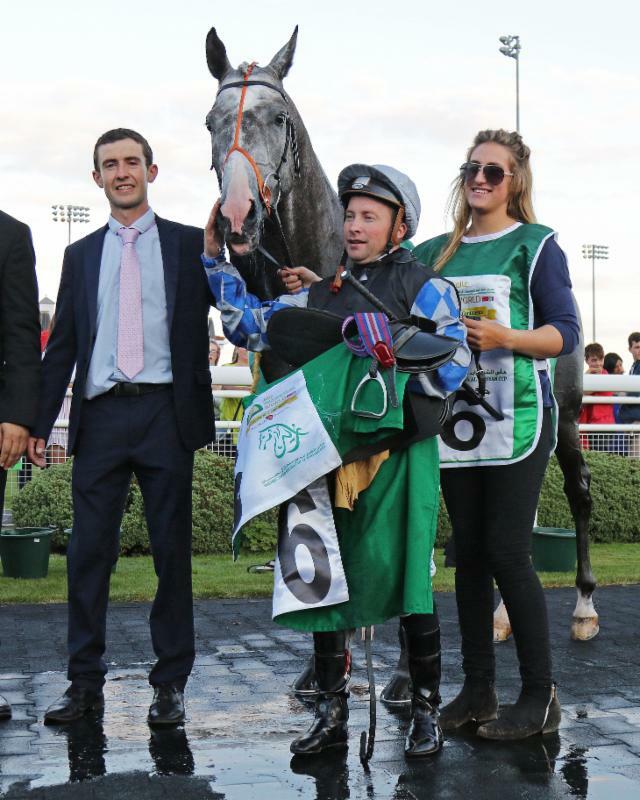 Then like last season, back to Chelmsford City to defend his Group 1 Zayed Cup title, followed by Toulouse. There's not much left for him at the end of the year, though Italy might be a possibility." Collington was also full of praise for his first experience of racing in Saudi Arabi, comparing it to Dubai around 15 years ago he said:"The racetracks are all in good order and I understand they are thinking of putting in a turf track too. They announced at the draw that they would like to extend the racing at the Festival to three days, rather than just the one and would hope to encourage more international runners and hopefully some Group races too." The HH The Emir’s Sword Festival in Qatar has attracted a massive overseas entry - from nine different countries on three different continents – for its six international races for Purebred Arabians and thoroughbreds, which are run on the Turf at Al Rayyan Racecourse on Friday February 23rd and Saturday February 24th. These six contests, which carry total prizemoney of US$2.95 million (£2,185,185), have received 266 initial entries, of which 78 are from outside Qatar. The two international Purebred Arabian races are run on the Saturday, with the US$1 million (£740,741) H H The Emir’s Sword (Gr1PA) as the feature race. As the third and final stage of the Doha Triple Crown, it is run over a mile and a half and has received 39 entries. 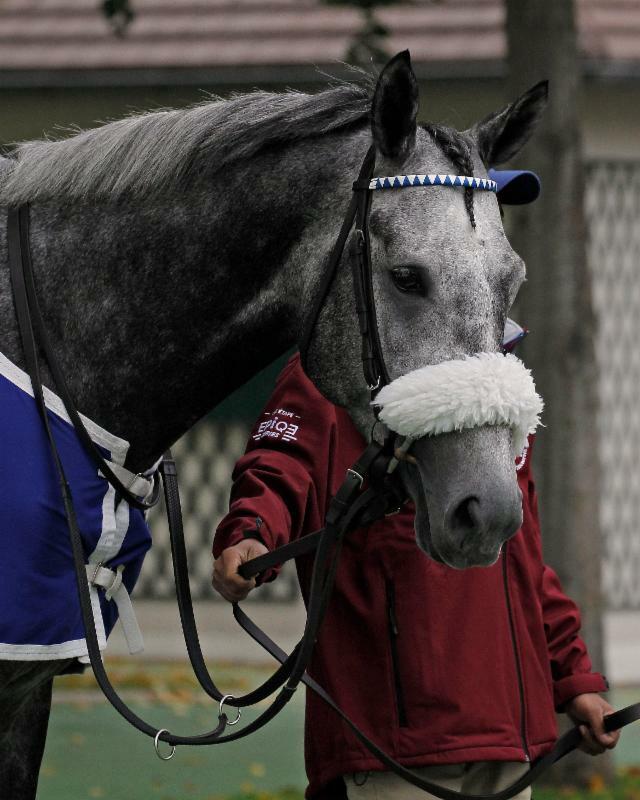 They include both last year’s winner, Ebraz [above], and the horse that beat him in the recent Qatar Derby, Yazeed. Also entered is the 2016 Emir’s Sword winner Gazwan, winner of the second stage of the current Doha Triple Crown - the Qatar Arabian World Cup (Gr1PA) - and the winner of the first stage, the Qatar International Stakes (GR1PA), Tayf. Oman has eight entries, headed by Zaqur, runner-up in the US$1 million Prince Sultan bin Adbul Aziz International Cup race in Saudi Arabia earlier this month. Another holding a double entry in the international contests is Bakir De Flauzins; now in Oman, he was a winner when trained in the UK by Beverley Deutrom of the 2016 DIAR International Stakes Prep race, though looks to face much stiffer competition here. 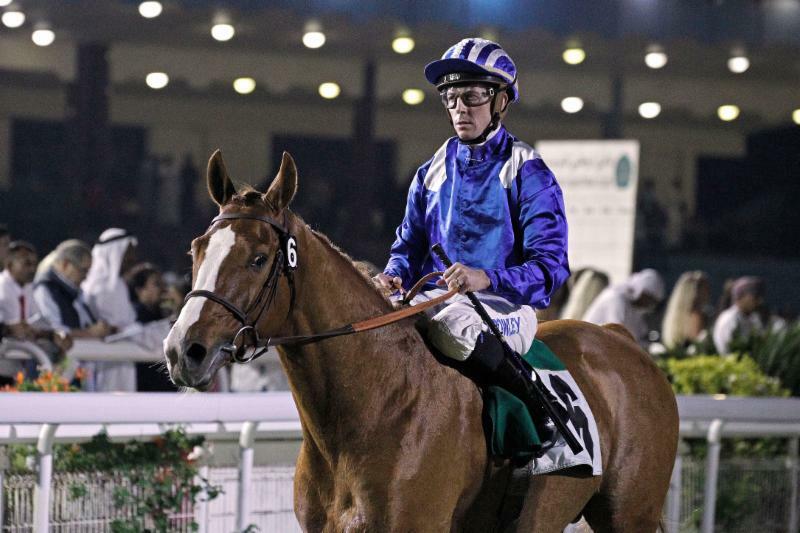 The Festival begins on Thursday February 22nd with a novice plate for Purebred Arabians and ends with the HH Emir’s Sword on Saturday February 24th.